Do you want to make great savings whilst helping the environment? Those installing solar panels in their homes may be looked upon with derision. This energy solution may be seen as hokum or at worst, just not sufficient enough as an energy source. JTB Electrical offers our customers the wonderful opportunity to save with solar panels. The benefits are endless. 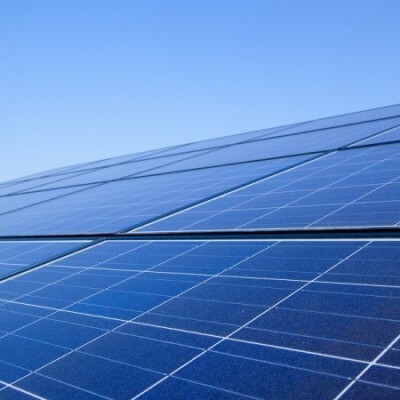 However, for forward-thinking electrical companies and consumers, there are certainly benefits to installing and making Solar photovoltaics (PV) your answer to power supply. Fossil fuels are the main resource for pumping the globes electricity to your outlets. Even other renewable resources have an impact on surrounding eco-systems and livelihoods, with the construction of dams, wind turbines etc. Going with Solar PV will see you do your bit to limit the emissions from processing gas and oil, thus limiting the green house effect. However, don’t think that solar panel technology will benefit directly from global warming. This does mean hotter but not longer summer seasons. Seeming as solar panel technology draws from the suns UV rays and not the sun’s heat, the only association instillation should have with global warming is to rid ourselves of it. No small claim when some authorities are proclaiming that Solar PV could shrink CO2 emission by 1 tonne a year, if adopted appropriately. Tip: It’s true that Solar PV draw from the sun’s rays, not hear. However, this doesn’t mean that temperature isn’t a risk. It’s best to install a few inches above the roof to allow air to circulate in and behind the panels, cooling them. Not always a major concern in cooler parts of the UK. Solar electricity systems harness a free and renewable energy source. So of course this peaks our interest in potential cost cutting. Initial set-up fees are relative to the apparent saves you make, which can be up to 50% less, potentially saving you hundreds of pounds. Of course, going green with Solar PV means you’re already conscientious about energy consumption and will hopefully have an improved awareness of more efficient energy behaviour. This can further improve the cost of your bills. The maintenance of solar panels is also extremely minimal. There are no moving components to fix or replace. Cleaning may be required at infrequent times, but do speak to your specialist installer on any potential service packages available, to garner applicable rates. Tip: Supplement your Solar PV and cut costs by doing the basics. Use energy saving light bulbs and turn devices off instead of leaving them on standby. Old tricks that mean new and improved reductions in your bills. If this hasn’t been enough to get you interested in investing in our solar electricity systems then consider this – you can be paid for the electricity you generate! Now there’s a way you can get money back from your energy supplier, by sending all surplus energy you don’t need to use, back to the grid. This is all thanks to the Feed-in Tariff. Click here for more info on this service.